I'm a wife, mother, and grandma, I live on the plains of central Kansas. I have chickens, goats and a miniature donkey. I also share my life with a very special toy Australian Shepherd, Wylie. Life doesn't get any better than that. I love sunrises. Mornings are my favorite time of the day! I also like afternoon and sunsets and stars. I really like all the day! It’s was a beautiful start today. Makes one wonder what the weather has planned for us. There is snow in the forecast. Hopefully it won’t be like the blizzard that we had a few days after Thanksgiving. 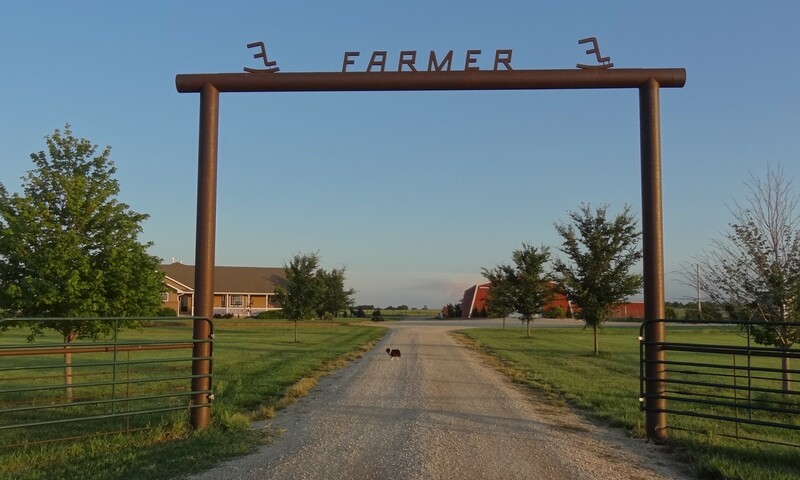 This entry was posted in Daily Happenings, On The Farm and tagged Kansas, weather on January 10, 2019 by Debra Farmer. This entry was posted in Day Trips and tagged Churches, Kansas on January 4, 2019 by Debra Farmer. 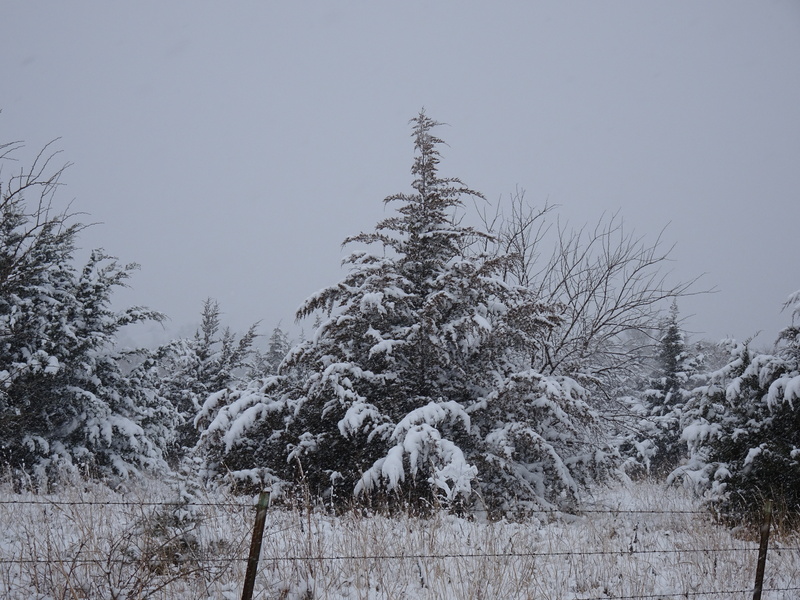 I had planned on going back out this morning to get some more photos of the snow covering the trees. 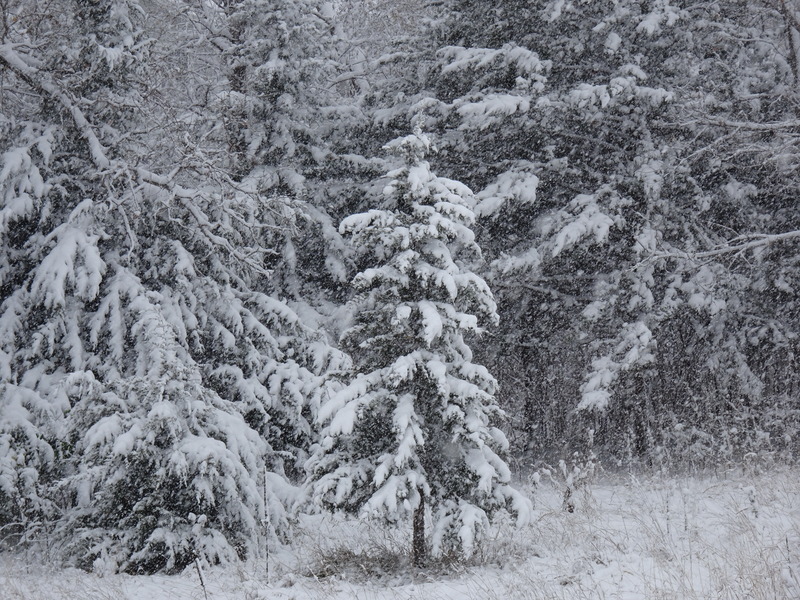 The snow fell so gentle and blanketed the trees, they looked like flocked Christmas trees – only much better!! We ventured out early, but the wind came up and it was more like a blizzard, so enjoy these photos from yesterday. 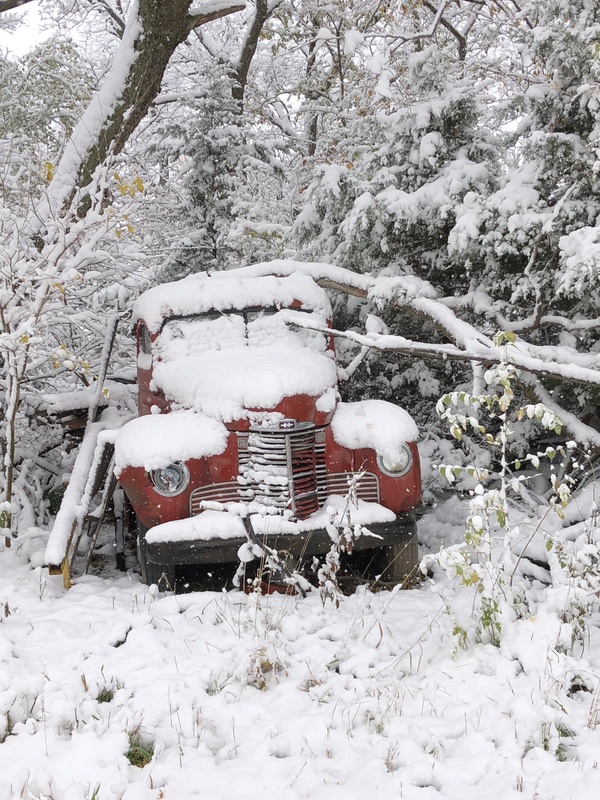 I don’t know what model this old red truck is, but it was so pretty in the snow. 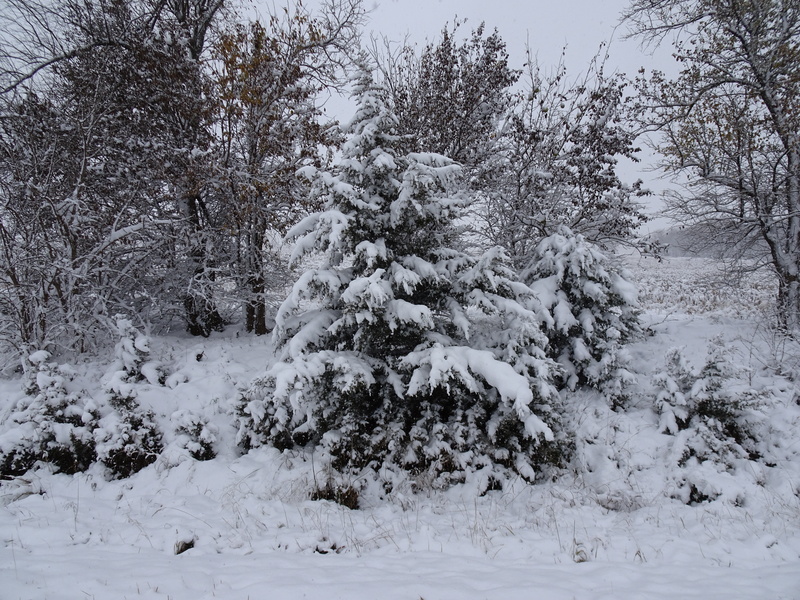 This entry was posted in Daily Happenings, On The Farm and tagged Kansas, snow, weather on November 9, 2018 by Debra Farmer. It’s a beautiful autumn day, or maybe a winter day. Started snowing early this morning and has been snowing all day. Dinner tonight won’t be on the patio. Wylie likes to ride with his head out the window. 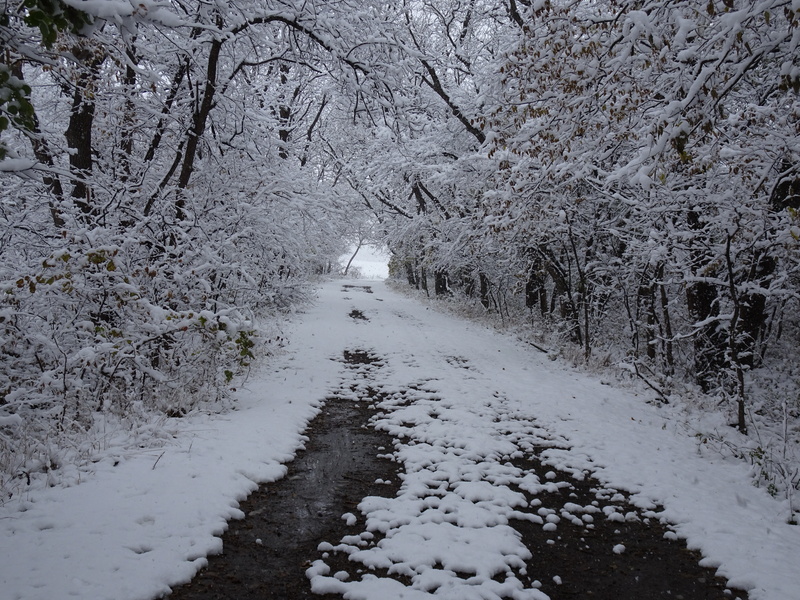 This entry was posted in Daily Happenings, On The Farm and tagged Kansas, snow, weather on November 8, 2018 by Debra Farmer. It was such a beautiful day Saturday and of course Wylie and I spent the day hiking. This is what we stepped out to this morning. What happened to autumn? This entry was posted in Daily Happenings and tagged weather on October 15, 2018 by Debra Farmer. I have had a lot of sparrows in my chicken yard. They are even getting into the chicken house, and I’m like a crazy woman in there wielding a broom to get them out! There are HUNDREDS of the little birds. The sparrows eat a lot of food, my girls like to dine on organic feed, scratch grain and meal worms, not what I want to be feeding to a huge flock of sparrows. I’m also concerned about wild birds spreading diseases to my girls. Another thing that really made me want to find a way to get rid of the sparrows, I have a very large pyracantha shrub in their run (yes their chicken run has numerous shrubs and even rose bushes). Last year the wild birds ate ALL the little green berries that were to be beautiful orange berries in the fall. This year my bush was again loaded with lots of berries, only to be devoured again, ENOUGH! I Googled “how to get rid of wild birds in your chicken run”. It was good to know that I’m not the only one having problems with unwanted birds. The solution…….. Hang CD’s in the chicken run. What? It actually works!! This spring we had netting installed over the run to protect the girls from a hawk. The perfect way to hang CD’s throughout the run. It’s been 2 days and there has not been any wild birds in the chicken run or even sitting in the trees or on the fence. I hope it keeps working!! This entry was posted in Daily Happenings, On The Farm and tagged Chickens on September 15, 2018 by Debra Farmer. A beautiful morning for a hike in the sand hills just a few miles to the west of us. There were so many yellow flowers. This entry was posted in Day Trips on September 12, 2018 by Debra Farmer.